The Forester Hi Vis Safety Green Class 2 safety t-shirt is made in accordance to Ansi/Isea 107-2015 Class 2 Standards. 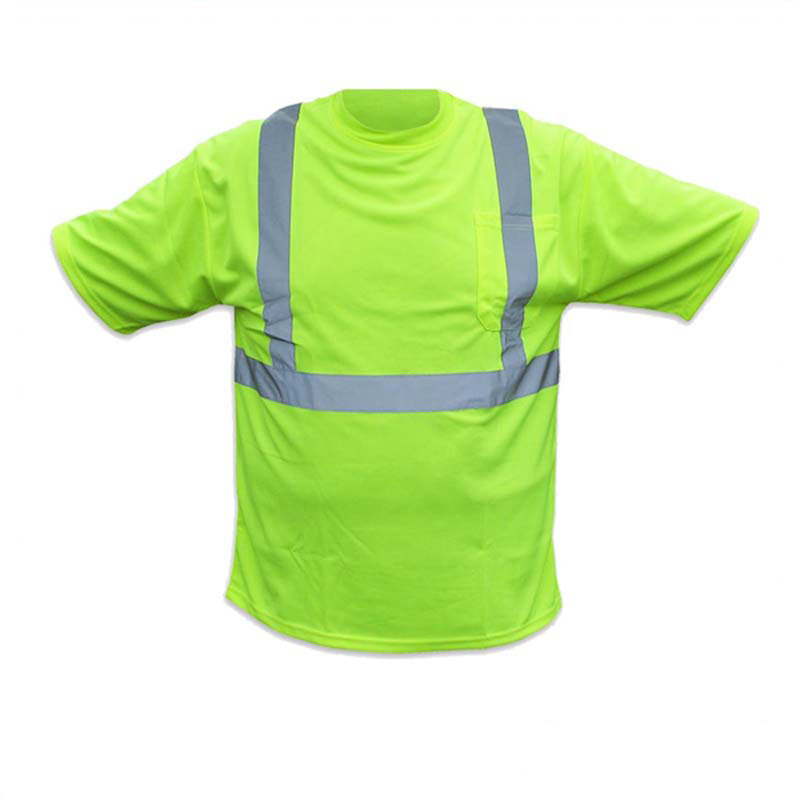 The 100% polyester design makes this shirt more comfortable and helps wick away moisture. The Reflective tape is sewn on, not heat transferred which will allow for a longer life. The shirt features a breast pocket and is machine washable. Great Work Shirts! 5 Very good work shirts, they are well made and fit well, with a very nice low price tag! Forester Shop is now set up to offer screen printing on all of your clothing needs! The minimum quantity of clothing would be 24. Once you hit the 24 mark, there is no screen charge, or artwork charge as long as the files sent do not need any artwork completed. If you do not have any artwork, we can help if you need and there would be an additional charge. Please Add .50c extra each shirt if printed on a pocket! *Prices are for 1 Print Location. If you require an additional print location it will incur additional prices. What do we need? Forester Screen Printing followed by your order number. In the email, we require the following. 1. The image of what you want screen printed sent in either a PDF, JPEG, or AI file. The file should show the actual size of the screen print. 2. Detailed Description of the screen print location. The size of the logo or lettering, location placement of the print, etc. Once we receive this information we will make a digital print for approval. Once you approve the draft we will print and ship your items! Please allow 14-18 business days after your approval for your garments to arrive. **Please note that screen printed items are not eligible to return, except for a manufacturer defect of the garment. Please make sure that the proof matches how you want to look prior to replying with an approval!